Maura Healey is running for Mass. attorney general. In the modern era, races for Massachusetts attorney general have been waged along this divide: law-enforcement professionals versus veteran politicians. And more often than not, voters have valued career credentials over political skills. That helps explain the election of Scott Harshbarger, Tom Reilly, and Martha Coakley. But those three started their campaigns with a substantial base: They were all Middlesex County district attorneys when they launched their campaigns for attorney general. This year, the professional candidate has impeccable qualifications, but lacks any previous electoral experience. 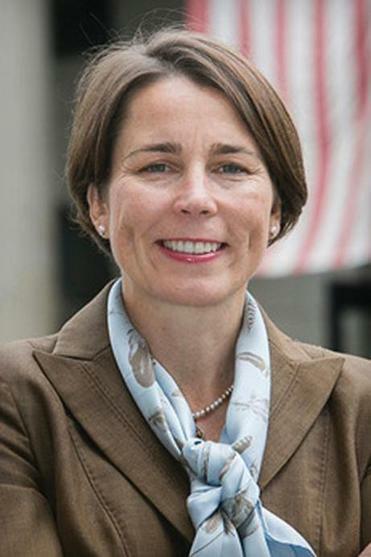 That candidate is Maura Healey, a 42-year-old former assistant attorney general, who until she resigned in October to pursue the AG’s office, was one of the top managers there. Although she is best known for having quarterbacked this state’s challenge to the federal Defense of Marriage Act, by the time she left, Healey was running two of the AG office’s five bureaus, which meant she was overseeing about half the office’s 500 employees. Hers hasn’t been the usual law-school-to-assistant-AG-to-private-sector-law trajectory. In fact, she’s gone in the opposite direction — with a hoop-dreams detour in between. After high school in New Hampshire, she went to Harvard, where she was captain of the basketball team, and then spent two years in Europe as a point guard for a professional women’s team based in Salzburg, Austria, where the 5-foot-4 point guard was listed as an intimidating 5-foot-6. After returning, she went to the Northeastern University School of Law, clerked for federal judge A. David Mazzone, and then joined the Boston law firm of Hale and Dorr (now WilmerHale). She had always intended to get into public service, Healey says, but wanted to pay off some student debts first. And then, in the summer of 2006, her father died of colon cancer. “I thought, Maura, life is too short,” she said. “Get off the stick.” And so, after Coakley was elected, she applied for a job with the new attorney general. Coakley hired her to be chief of her office’s civil-rights division. Inside the AG’s office, she is credited with being the primary person behind the AG’s challenge to the federal Defense of Marriage Act, from urging the challenge to arguing the case. “She developed some incredibly important arguments about how improper it is for the federal government to disregard a state’s determination that someone is married,” says Mary Bonauto of GLAD, the lead attorney in a companion case. That case was the first time a state challenged DOMA, and the 2010 verdict was the first time a federal judge declared DOMA unconstitutional. The US Supreme Court, hearing a different case on appeal, struck DOMA down last June. Healey, who says that as AG she’d be guided by the values of fairness, accountability, and innovation, points to that challenge as the kind of work an AG should be doing. “That’s an example of an AG having the willingness to step forward and do something that not only made a difference here, but across this country,” she says. She also cites her efforts on the AG’s HomeCorps program, which helps homeowners facing foreclosure work out loan modifications with lenders; to date, that program has helped modify more than 2,000 loans, resulting in some $54 million in debt relief. She certainly passes the transparency test. Asked if she will make public any campaign questionnaires she fills out from business, labor, or other advocacy groups, Healey offers a quick yes, noting that transparency is an important priority of the AG’s office. State Representative Harold Naughton, who is also seeking the AG’s post, says he will as well. But not former state senator Warren Tolman, the early favorite in the AG’s race. His campaign offered a mushy statement that avoided saying either yes or no. In a column like this, you always arrive at this question: Is sexual orientation relevant? Being openly gay is part of who Healey is, so perhaps. But it should be no more important than noting that she comes off as smart, funny, likable, and authentic. The long and the 5-foot-6 (umm, 5-foot-4) of it is that Healey is just the kind of person you want in politics. And that’s why Democrats should make sure she clears the 15 percent convention hurdle and secures a spot on the party’s primary ballot.